NO MORE PAPERS TO COPY! 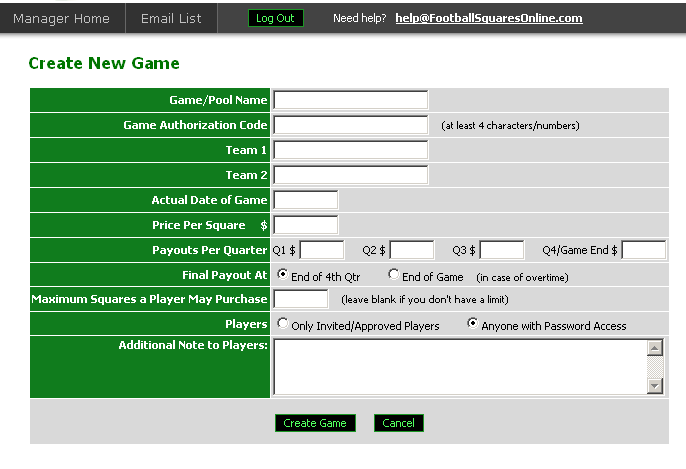 Host your football pool online! 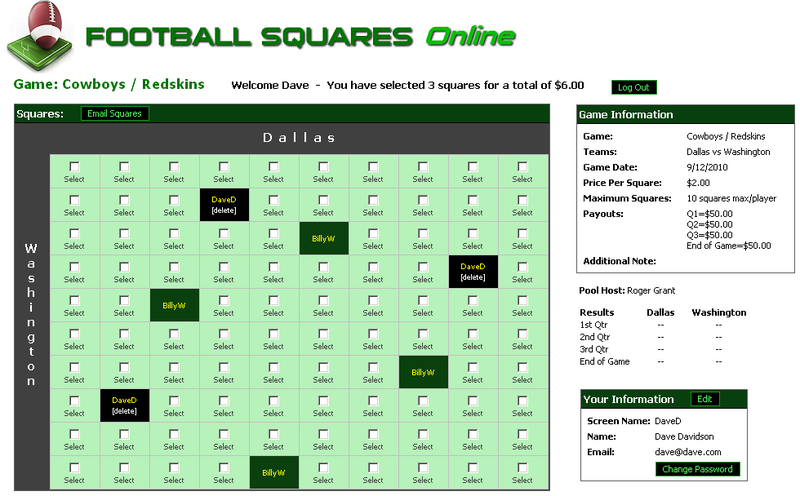 It's great for your Superbowl squares pool. 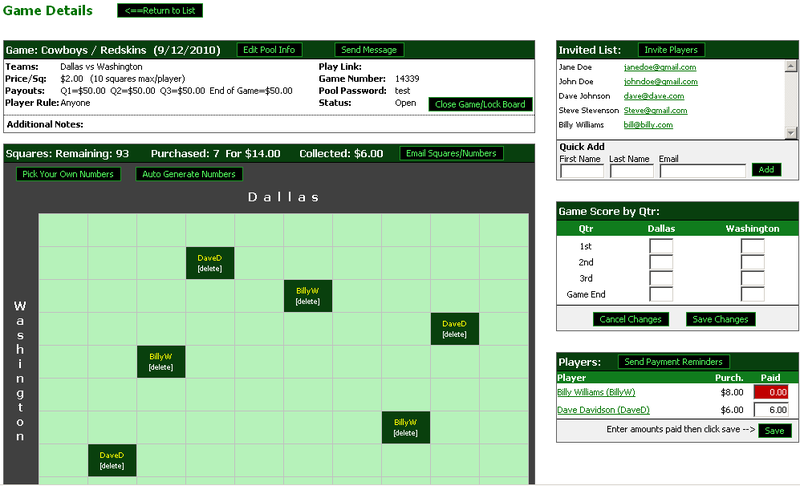 any NFL game and college football games too!